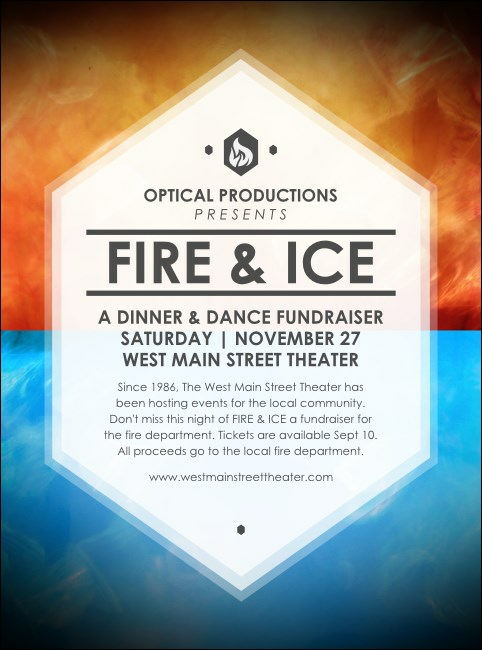 Get the hottest pre-event advertising that’s still cool when you print Fire and Ice Flyers in advance for your big event. Avoid luke-warm ticket sales and promote with Flyers that feature a burning orange and icy blue background design and twelve lines of unique text for your event details. TicketPrinting.com helps you stay cool with hot advertising.